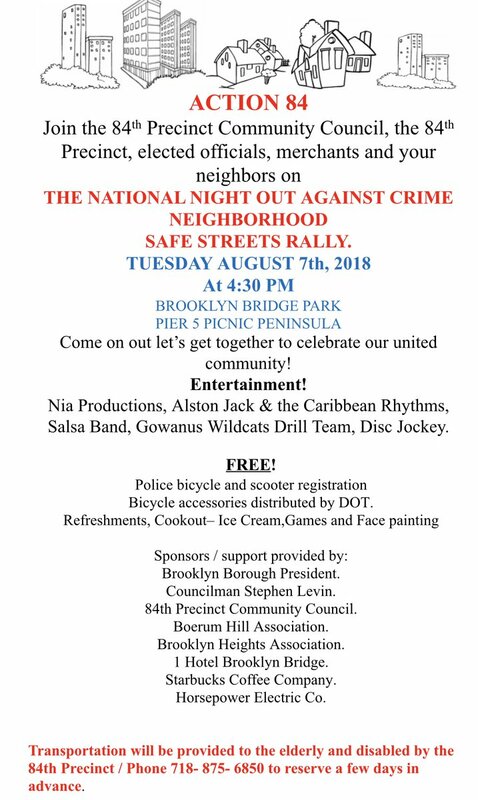 The 84th Precinct Community Council invites all to the National Night Out Against Crime- Neighborhood Safe Streets Rally, at the Pier 5 Picnic Peninsula in Brooklyn Bridge Park, on Tuesday, August 7 at 4:30 p.m. 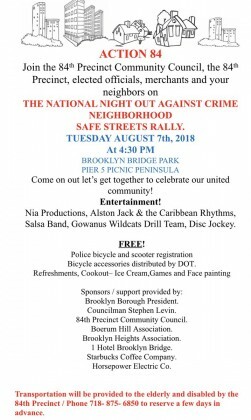 There will be entertainment, refreshments, ice cream, games, and face painting, as well as bicycle and scooter registration. Bicycle accessories will be distributed by the Department of Transportation. See flyer and video below. 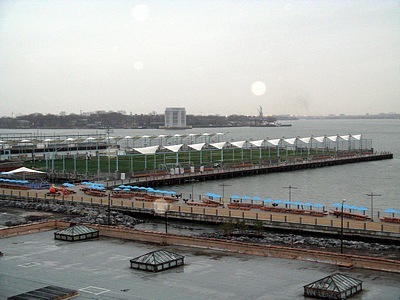 Nice throwback photo of the park from the era before the uplands were completed (and when the “shades” were still hanging over Pier 5, now removed). Does anyone know what that factory building (in the foreground) on the corner of Furman and the extension of Montague was actually used for?